So many new researches ,so much health info. It’s difficult to read and understand how it affects you. There are several blood tests which are important if you are planning to have a child. Few of you visit the obstetricIan when in the planning stage of a baby. Most reach the obstetrician’s office ,after a missed period. That’s several week into the first trimester. It’s best if you have a pre-pregnancy or pre-conception checkup. A lot of potential complications can be avoided with good pre-pregnancy planning. 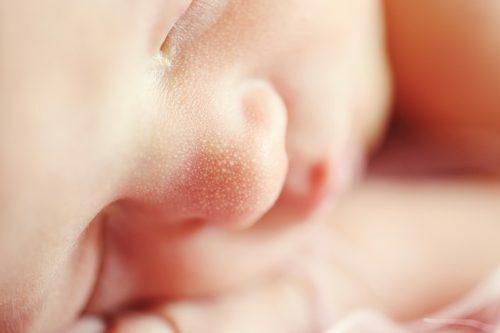 The first 12 weeks of pregnancy is the most important for the development of brain and other organs. Any nutritional or other deficiencies can affect the chances of the developing foetus. There are many tests you will have to do once you conceive.But even before you are pregnant there are 5 tests which are very important. Thyroid dysfunction is a treatable cause of primary infertility . Hypothyroidism and hyperprolactinemia are seen to coexist. In endemic goitre zones this is one of the most common causes of infertility. What to do if you have hypothyroidism and unable to conceive? Start treatment for hypothyroidism. Thyroid replacement hormone is started with proper diet. TSH is checked every 6 weeks. Normal thyroid status in mothers help to develop normal thyroid in foetus and plays a very important role in brain development. It’s done when you are planning to get pregnant . If not done then it should be done immediately on detecting pregnancy. It tells you about your immunity against Rubella. It also tells us whether the immunity is adequate to give protection against infection. What’s the risk if this is not done? Rubella is most dangerous to your unborn baby if infection occurs within 20 weeks . Birth defects due to Rubella include like hearing loss,brain damage,cataract and heart defects. This is known as Congenital Rubella Syndrome and there’s is no known treatment for this. Anaemia in pregnancy should be managed proactively to give best chances to the baby. What can worsen the problem ? Infections like malaria, urinary tract infections, helminthic infections(worms) make anaemia worse. If anaemic ,start increasing the amount of animal protein and green veggies in diet. Iron from animal proteins is more easily absorbed and used by your body then that from plant sources. If found anaemic during pregnancy ? Treat Anaemia under doctors supervision. Iron supplements must for all from second trimester onwards .But in case of Anaemia you may need to take it throughout pregnancy. Treatment of infection if any . Related:Brain development  in Early childhood . You can write to me at dramrita@healthwealthbridge.com and I will share with you. You need to give a blood sample Which will be screened. A)Hemoglobin electrophoresis is done with quantitative hemoglobin A2 and hemoglobin FCBC testing. C)Iron Studies (free erythrocyte proto porphyrin, ferritin, and/or other iron studies. What will be the report ,when you have the Thalassemia trait? Individuals with beta thalassemia trait usually have evidence of microcytosis and increased levels of hemoglobin A2. Hemoglobin F is sometimes elevated as well. People with thalassemia trait do not have the disease . But this genetic trait, in their genes, is inheritable through the generations, from parents to children. If your partner doesn’t have the trait,your child will inherit this trait from you. This needs to be present in medical records for family planning of future generations. If you are positive for this factor then your partner needs to be tested too. If both you and your partner have this trait,there’s a 25% possibility of your child having the disease (in every pregnancy ). Chorionic villus sampling at 10 -11 weeks help in Antenatal diagnosis of thalassemia . Rate of foetal loss in this procedure is 1%. Social awareness about the prevention of this disease is important . It’s important to know your RH type before you conceive. Rh or rhesus factor is a type of protein on the surface of red blood cells. Around the world on an average 85%are Rh positive and 15 %is Rh negative. If you are Rh negative and have never been pregnant before or never had a blood transfusion .Don’t worry. You will be given an injection with Rh immunoglobulin to protect against your blood becoming sensitization to the Rh antigen. If you are Rh negative and had a previous Rh positive baby ,miscarried,underwent an abortion ,ectopic pregnancy,but no Rh immunoglobulin was given. Then a test to check your blood for Rh antibodies is important before planning a pregnancy. Not knowing your Rh status and Rh antibody status can have serious complications. Your doctor will help you. Always plan your pregnancy after consulting with your doctor. Other tests which you must do as a part of Pre-Pregnancy Checkup is written in this checklist . Disclaimer :This is an attempt to empower you to take more informed decisions and is not to be considered as replacement for professional medical advice. These are excellent tests. I had not thought of many of them when I was pregnant with my son. I was a high risk pregnancy at 36 years old. Fortunately my obstetricians were very good. Good tips. Information is power. Luckily with the exception of the Rubella testing, those are regular screen tests for me. Seems like regular checkups in general are key. That’s great to hear.I am glad ypu found something new.Thanks for reading. One of my closest friends just found she is pregnant after issues with infertility. It’s a fantastic feeling! Congratulations to your friend.And yes it’s a wonderful feeling and the biggest responsibility. Great informational article about what types of tests will occur with proper prenatal care. I have thyroid function issues and took many tests to ensure the baby was safe throughout pregnancy. Some great piece of information shared! My friend is planning for a baby. I will share this post with her! These are great. Once your ready everything and anything you can do will help keep your confidence up.